Test debut vs England at Exhibition Ground, Nov 30, 1928 Last Test vs England at Kennington Oval, Aug 14, 1948 ProfileYou knew he was coming. It was an era, when the fall of the first Australian wicket spelt catastrophe for the bowlers. Celebrations were muted, and voices hushed, in the face of their inevitable doom. The spectators would be clapping, not for the man going off, or the bowler; the applause was one of anticipation. The sport of cricket has seen several good players, and a few rare great players. Some who have achieved numerous moments of glory for their team, and others who have confounded of statisticians and romantics alike. None, however, have managed to stretch the imagination and drop jaws like the timeless giant who eclipsed the contemporaries of his domain across generations. Once upon a time, more than a century ago, in the small town of Cootamundra, New South Wales, Donald George was born - the man who set such high standards of batting in his time, that the phrase 'second only to The Don' has become a part of cricketing jargon. In 52 Test matches over 20 years and a World War, Sir Don Bradman transcended the pinnacle of batsmanship, and then some, to an extent that is deemed insurmountable to this day. He was often revered as a god in Australian cricket and went on to form a team that came to be known as the Invincibles. As opposed to the asymptotic greats, The Don was so far beyond the everyday batsman that more than a hundred years on, there isn’t a player who has come within an arm's distance of his Test average - Ninety-nine point nine four. It all started with a stump, a golf ball and a tank stand. That’s right. In his old family home, Bradman would toss a golf ball against a corrugated tank stand, allowing it to reach him quickly and at unexpected angles, thereby developing quick reflexes by hitting them right back at the tank and in the process, developing a typical bottom-handed driving technique and getting more efficient with time. 'The small bat made this no easy matter; as the ball came back at great speed and, of course, at widely different angles. I found I had to be pretty quick on my feet and keep my wits about me, and in this way I developed, unconsciously, perhaps, sense of distance and pace'. Unsurprisingly, Bradman was a prodigy from the school level. After scoring his first hundred at his school in Bowral at the age of twelve, he went on to score double hundreds and triple hundreds, finishing the 1925 season with a typically Bradmanesque average of 101.3. There was a murmur around the cricketing fraternity about a small-towner from Bowral, and Bradman was invited for practice at the St. George’s part in Sydney. At the age of 19, the diminutive-but-precocious baby of Australian cricket, Donald George, was handed a First-class debut for New South Wales, and he immediately made an impact, scoring 118 in Sydney on the very day Bill Ponsford, in a different game, set the highest First-class score of 437 for Victoria against Tasmania - a record Bradman would eventually break a couple of years later in Sydney against Queensland with a mammoth 452, which would stand for nearly 30 years. Bradman, later, mentioned that he’d had his eyes on the record. Bradman was handed his Test debut on a sticky dog of a wicket in Brisbane, and went on to score 18 and 1 across innings, resulting in a record that still stands - a 675-run loss for Australia against England and a subsequent axing from the side. However, on a flatter and more batting-friendly wicket in the third Test at the MCG, Bradman went on to score 79 and a 112 (his first hundred), but Australia went on to lose this Test too, and hence the series. Bradman looked to make amends to Australian fortunes, but the lack of experience cost him in the 4th innings run-chase as he was run-out for the first and only time in his career, for a score of 58 as Australia lost the 3rd Test by 12 runs, after coming heartbreakingly close to victory. The Aussies won the 5th Test, a consolation after losses in the first four, as Bradman and Jack Ryder steered the victorious 4th innings chase. 'He makes a mistake, then makes it again and again; he does not correct it, or look as if he were trying to do so. He seems to live for the exuberance of the moment,’ wrote Percy Fender, cynical of Bradman’s technique. Australia started poorly, with a loss in the first Test, as Bradman scored a second-innings 131 on a pitch that had flattened out considerably over the course of the match. However, his performance at Lord’s silenced his critics as he went on to score an epic 254 as Australia went on to win the Test and level the series. Bradman recalled this innings as his best, remarking that \"without exception, every ball went where it was intended to go.” Furthermore, in the third Test at Headingley, he scored a hundred in each session to end the day on 309*, which remains a record for a single day’s play (only Virender Sehwag has come close, scoring 284* in two-and-a-half sessions against Sri Lanka). He ended up usurping the then-world record for the highest Test score (Andy Sandham’s 325) and went on to score 334 as the Test was eventually drawn (as was the 4th), due to poor weather. In the deciding Test at the Oval, Bradman scored the most difficult runs of his career. Harold Larwood, the express-pacer, made life difficult as the pitch was rendered venomous by the intermittent rain in the days of uncovered wickets. The two-paced nature of the wicket demanded dogged batting, and powers of concentration that Bradman was now known for, on his way to a remarkable 232 as Australia went on to win by an innings and regain the Ashes. Bradman went on to prove that his skills, although unlikely to work in these conditions, were so sharp that he was able to react late to every ball that he face, which in turn made him more lethal in English conditions that the traditional batsman; not to mention his unparalleled powers of concentration. Bradman, averaging an absurd 139.14, had answered all his critics, and then some, to score 974 runs in the series - a record, as yet, unsurpassed. As Australia played home series against South Africa and West Indies, Bradman’s antics continued as he scored at a scarcely-believable average of 190 in the two series, including an average of 201.50 against South Africa - again, unsurpassed to this day. More than 10,000 miles away, the English watched with unease, as they brewed an antidote for The Don. 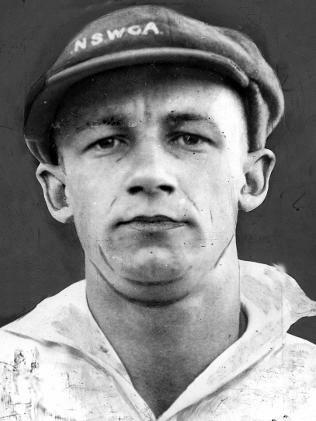 The influential Plum Warner of the English Cricket Board attempted to device a “new type of bowler for Bradman’s uncanny skill.” Recollecting his troubles against the short ball at the Oval, Warner concocted the Bodyline technique, whereby he packed the on-side with fielders (leg theory) and bowled short to Bradman in Australia with his pace spearheads Harold Larwood and Bill Voce. After England selected three extra pacers in their side, Bradman suspected some shrewd thinking on their part. In the midst of the depression, he had other problems to deal with and averaged just 17 in his practice games against England as they unravelled their Bodyline tactics in just one of the games. After missing the first Test of the series due to a ‘nervous breakdown’, he returned in the second as the Aussies trailed 0-1 in the series, derailed by the Bodyline tactics. Bradman returned for the second Test to a rousing ovation from the Australian crowd. In an anticlimactic turn of events, he anticipated the short ball first up and moved across the stumps to hook. The ball, however, failed to rise and he was bowled off his first ball. Australia, however, took the lead and Bradman was back at his best in the second innings with a brisk 103 (out of Australia’s 191) as a hero redeemed himself to set England a target of 251 as Australia defended it with ease to level the series. The third Test at Adelaide was marred by drama. After a few gruesome injuries due to the Bodyline tactics, there were protests against England’s tactics as Warner entered the Australian dressing room to talk things over, and was allegedly confronted by Australian captain Woodful with the words \"there are two teams out there and only one of them is playing cricket.\" With the backing of the MCC, England continued to bowl with the Bodyline tactic, and England went on to regain the Ashes under controversial circumstances. Bradman, however, found his own solutions to Bodyline, by backing away and stroking the ball into the off-side, with agricultural strokes developed for run-scoring purposes. He ended up scoring 396 runs at 56.57 (almost half his career average), and his individual performances garnered praise. He had defeated Bodyline. A technique devised purely to rip through a tiny hole found in The Don’s technique, Bodyline bowling was disbanded in MCC’s new laws of cricket in 1935, deeming it contrary to the spirit of the game. As corollaries to this law, several others were introduced later, including limiting the number of bouncers per over, and limiting the number of fielder behind square on the leg-side to two. If only it hadn’t rained on that fateful day at the Oval, Bodyline would never have shown its ugly face, and things wouldn’t have gone as far as to strain political relations between the two nations - all because of the ridiculous skill of an Australian batsman who wanted nothing more than to lead a secluded, private life. In the aftermath of the Bodyline series, Bradman went 13 innings without a century and struggled with his defensive strokes, fueling the rumors that his concentration had deserted him and that Bodyline had put him off his game. There were rumors that he was experiencing heart trouble, and Bradman was experiencing a career trough, with 133 runs in 5 innings and the series level at 1-1. With his reputation at stake, Bradman returned to his old self amidst a Sheffield Shield game with a score of 140. It is a testament to his commitment that he declined an invitation from Neville Cardus after the first day of the 4th Test, citing the reason that his 'team needs him to score a double-century tomorrow'. It is rumored that Cardus told him that the such an event was against the law of averages, as he had scored a 334 in his previous appearance at Headingley. Bradman’s deadpan response was 'I don’t believe in the law of averages'. He went on to bat the entire second day, eventually being dismissed on the third after going one better and scoring 304 as rain marred yet another likely win for the Aussies. After pulling out of the 4th Test due to fatigue, Bradman returned for the must-win fifth and put on a then-record partnership with Ponsford of 451 runs, as Bradman scored 244 to record a massive 562-run win in the Timeless Test as Australia regained the Ashes once again after a heart-breaking loss in the Bodyline series. Bradman was awarded the Test captaincy of Australia, though he was surprisingly omitted from the side during the tour of South Africa. After Vic Richardson led the side to a 4-0 win, a host of anti-Bradman players made their voices heard and there were calls of making Richardson full-time captain. As a direct consequence, a match between Australia and a Rest of Australia XI (captained by the Don) was played. The Don’s side went on to win the match, thereby proving the importance of his presence for Australia’s success. After a personal tragedy, Bradman returned to play the Ashes in Australia. The hosts lost the first two Tests as Bradman scored 2 ducks in 4 innings and it seemed like the Ashes would change hands for the 5th time in six series as Australia lost the first two Tests. In the pivotal third Test on New Years Day in 1937, Bradman elected to bat as Australia crashed to 181/6. He declared to make England bat on a sticky wicket, who in turn declared with a deficit to make Australia bat (amidst intermittent rains). In an unorthodox move, Bradman reversed the batting order to protect his main batsmen, waited for the pitch to dry out, and went on to score 270 at the MCG - an innings rated as the ‘Greatest of all time’ by Wisden. Bradman went on to contribute with a 212 in Adelaide and a 169 at Sydney as Australia completed a triumph in a 5-Test series after being 0-2 down - a feat unmatched to this day. Bradman struggled through the world war years, as he was disbanded from the Royal Australian Air Force due to a muscle condition called fibrositis and, surprisingly, poor eyesight. His muscle condition turned acute as he struggled with everyday activities such as lifting his hand, causing him unfathomable pain. His return to cricket seemed like a far cry. Upon his recovery, his financial troubles began as the firm he worked for as a stockbroker had been shut down for fraud. Bradman was, instead, summoned as a delegate to the board of members of the South Australian Cricket Association as Australia planned ahead for post-war cricket. After declining a tour of New Zealand due to bouts of depression, pressures of administrative responsibility, and his battle with fibrositis, Bradman returned for the Ashes upon encouragement by his wife and continued to score freely as Australia retained the Ashes 3-0, providing the public great relief in the post-war era. Bradman continued to perform well as India toured Australia for the first time, and scored 715 runs at an average of 178.75 and announced that the team assembled by him were a world-beating side and that their 'respect and loyalty were unquestioned.' He further reinforced that he wanted to go through the tour of England unbeaten - a feat that had never been accomplished before. With his Test average standing at 101.39, Bradman required 4 runs at the Oval to reach 7000 Test runs and maintain an average of one hundred. Bradman walked out to an elaborate standing ovation and a guard of honor from the English players. Facing the leg-spin of Eric Hollies, Bradman was bowled for a duck to a googly off the second ball he faced, falling agonizingly short of a fitting Test average of 100, by just four runs. England were bowled out for a second time and lost by an innings, and Bradman never got a chance to bat again after making the most famous duck in the history of the game, walking into the sunset to a standing ovation. The Australian team, however, went on to create history as Bradman’s ‘Invincibles' went on to win the series 4-0 - the first instance of a touring team emerging undefeated in the history of the game. Bradman’s life revolved around cricket. Apart from his playing career, he was an administrator from 1945-1980, for well-nigh half a century. His promotion of positive cricket, illegal bowling actions, and particularly his sensible and level-headed handling of Kerry Packer’s World Series cricket and player remuneration exhibited his pragmatic personality off the field as well. With all his brilliance on the cricket field, there were some weaknesses. Hedley Verity's left-arm spin troubled him, as did leg-break bowling. His performances on 'sticky dogs' were questionable. Nevertheless, these are methods of nitpicking. Every individual is better at facing a particular style of bowling than he is at facing an alternative. Moreover, a player's efficiency would be brought into question if he scored more on sticky dogs than on flat wickets. In short, Sir Don Bradman was the perfect batsman of his age and even though comparisons with future batting greats will never cease to thrill, some of his numbers, particularly 99.94, are unlikely to ever be surpassed. Sir Don Bradman passed away after a battle with Pneumonia on February 25th, 2001. For all his achievements in the cricketing world, Sir Don Bradman fell short of life's final century - yet his legacy lives on forever. He was the human embodiment of brilliance - a substantial outlier in the cricketing realm. It was like watching Tendulkar bat in Mumbai, only rarer; like watching Ali at Madison Square Garden, only longer. He was the wizard who walked out with his willow and enchanted every living soul in the vicinity - a cynosure of all eyes, and a nucleus of a sport around whom it revolves.